Nothing is going to be as effective as professional carpet cleaning. But by dealing with the stain straight away you are going to give your carpet the best chance to come through this intact – at least until you can get a specialist on the case. Get yourself a mug of clean water and place three drops of washing up liquid in it. Make sure it’s not a super-strength formula. Mix it in. Now get a sponge and dab the solution onto the stained area using one of your clean cloths. Then use your other clean cloth to dab the area dry. Repeat, alternating wet and dry. Once you think you’ve gotten the marking out, continue to dab dry with your dry cloth. Then allow your carpet to dry fully overnight. If your coffee stain returns, or it now appears to be a paler, larger ring, then your stain may be deeper than you first thought. Or it might be that you didn’t manage to remove enough liquid while you were dealing with the stain the first time around. Repeat the process with extra effort placed into the speed of the drying process. A weighted towel or a fan are good ideas to dry your carpet more effectively. This method is particularly effective when you want to get a coffee smell out of carpet. Baking soda is a fantastic odour absorber, meaning coffee smells will soon be a thing of the past. First, to get rid of the smell of coffee spread the dry baking powder over the affected area and leave it to sit overnight. It will absorb the odours and then allow you to vacuum it up easily. 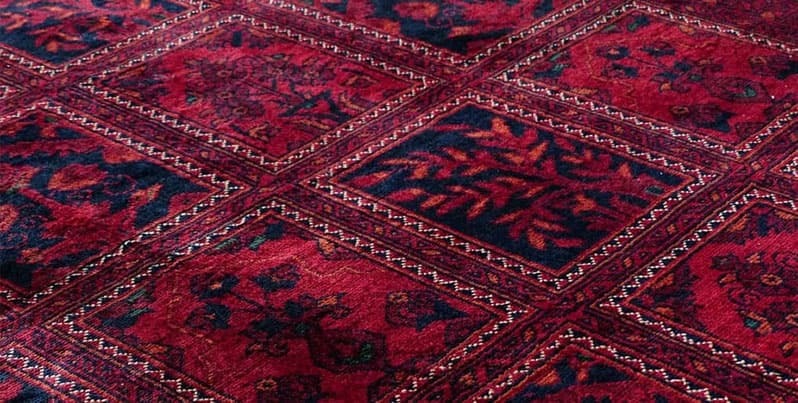 This simple process may be enough to deal with areas of your carpet which smell of those golden brown beans but which don’t have any visible markings. For more serious stains, get your mug and create a baking soda paste inside it. 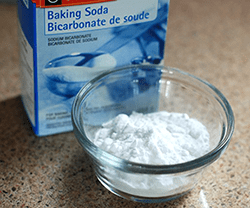 The ingredients should be about one part water to three parts baking soda. Mix it together. Then use the toothbrush to apply the mixture to your stains. Scrub in gently. Once you have, use your dry towel to carefully blot it away. You can then leave it to dry properly overnight and check and vacuum in the morning. You might only need to do either of the above once or twice if you’re dealing with a brand new stain. For old coffee stains on wool carpet though, you’ll probably need quite a few repeats until the method shows proper results. Remember that under no circumstances should you use anything with ammonia in to clean your wool or wool-blend carpets. Also remember that effective DIY methods aside, there’s no substitute for a little professional help when it comes to carpet cleaning.